A 30 yo male with walking imbalance. 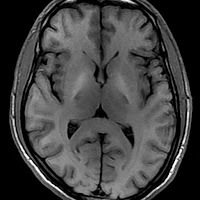 On admission MRI Brain T1w images shows bilateral symmetrical hyperintensity in the region of Globus pallidi. Rest of the brain parenchyma unremarkable. 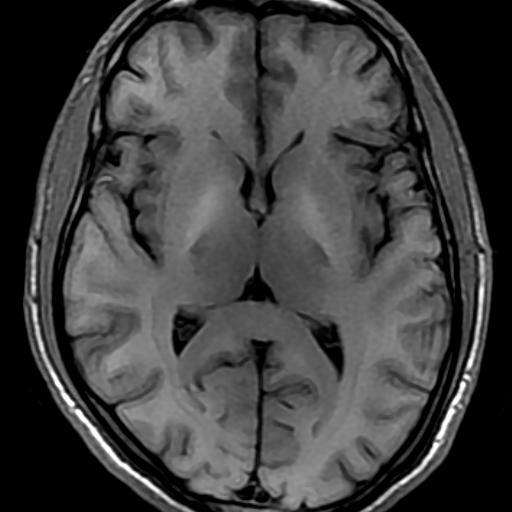 T1 hyperintense Globus pallidi on MRI Brain. In further evaluation : Blood sugar levels, Serum Bilirubin levels, Liver function test and Usg abdomen for liver cirrhosis was advised. Blood sugar Random 210mg/dl (Normal 60-140).. high. Usg abdomen showed normal sized liver with normal echotexture. No obvious changes of liver cirrhosis. pt is Non Alcoholic. Marked increase in echogenicity around portal vein and its intra hepatic branches. Spleen 15mm along long axis with rounding of inferior pole .. Moderate spleenomegaly. Marked dilatation and tortuousity of splenic vein. Possibility of ? Non Cirrhotic Portal Fibrosis with Portal Hypertension suggested. An associated Hyperspleenism possible as platelet count is low. Causes of T1 Hyperintense Globus pallidi in this case appears to be either Hepatic Encephalopathy secondary to Non Cirrhotic Portal Fibrosis and Portal Hypertension or Hyperglycemia. - Hepatic / Bilirubin Encephalopathy. - Long term total parenteral nutrition. The mechanism behind signal abnormality is not known but various hypotheses involving the deposition of proteins, myelin breakdown products, blood or calcium or other minerals have been proposed.